A brand new series of outdoor concerts is coming to Bristol this summer! Skyline Series will be held across various weekends from June to September at St. Philips Gate. 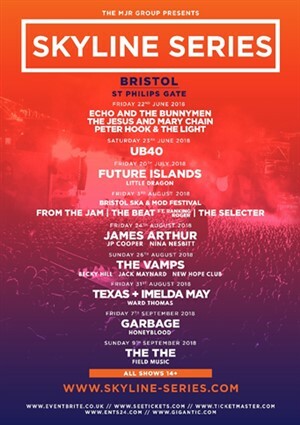 The stellar programme of artists includes Texas, UB40, Echo and the Bunnymen, James Arthur and many more… With each concert providing a different musical experience from a wide variety of genres, there is sure to be something for everyone. Adding to this already spectacular line-up, the Skyline Series have unveiled a plethora of amazing support acts. Supporting Future Islands on 20th July will be Swedish electro-pop band Little Dragon and on 24th August, JP Cooper and Nina Nesbitt will join James Arthur for an unforgettable evening of live music. 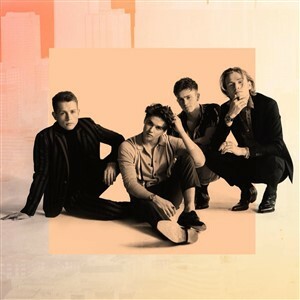 The Vamps are set to supported by Becky Hill, influencer and YouTube sensation Jack Maynard and label mates New Hope Club. On 31st August, Texas and Imelda May are joined by country superstars Ward Thomas, alt-rockers Garbage will be supported by Glasgow’s own Honeyblood on 7th September and on 9th September, headliners The The will be joined by the Mercury Prize nominees Field Music. The Skyline Series is also set to host the Bristol Ska & Mod Festival on Friday 3rd August, with From The Jam, The Beat ft. Ranking Roger and The Selecter all returning to Bristol for an evening of ska nostalgia. To compliment the array of musical talent, each night will feature a fantastic food village with plenty of local suppliers on hand to meet your culinary needs. Mark adds: “We are honoured and humbled to add further to the innovative and artistic hub that is Bristol. Being based here, we already have great relationships with the business and creative community and look forward to what the future will bring. 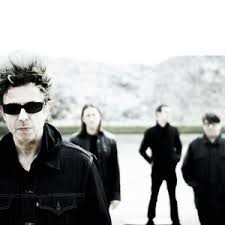 Echo and the Bunnymen formed in Liverpool in 1978 and their sophomore album Heaven Up Here in (1981) was a critical and commercial success, reaching the Top 10 of the UK Albums Chart. They also achieved their first UK hit single with "The Back of Love" in 1982, followed by a stream of other hits including "The Cutter”, "Never Stop" and "The Killing Moon. Frontman Ian McCulloch left the band in 1988, but the group later reformed in 1997 to release the Top 10 album Evergreen and in 2002, they received the Q Inspiration Award. Glaswegian rockers The Jesus and Mary Chain formed in Glasgow in 1983 and are famous for their acclaimed debut album Psychocandy, which included classics such as ‘Just Like Honey’ and ‘Some Candy Talking’. The band split in 1999 and reformed in 2007 for major performances at Coachella and Meltdown Festival. Last year, The Jesus and Mary Chain released their first new album since 1998, titled ‘Damage and Joy’. In support of their new album, the band embarked on a UK tour where they played iconic venues such as London’s Kentish Town Forum and Nottingham’s Rock City, as well as performing at major festivals such as Rock En Seine, End of the Road and Benicàssim. Peter Hook & The Light were formed in 2010 by the ex-Joy Division and New Order bassist Peter Hook and the band is also comprised of Hook's son Jack Bates, Andy Poole (keys), Paul Kehoe (drums) and David Potts (guitar). Their debut EP was released in 2011 and since then, the band have toured relentlessly, performing fan favourites from Joy Division and New Order albums all around the world. This summer, Peter Hook & The Light are set to join Echo and the Bunnymen and The Jesus and Mary Chain for a special show in Bristol on 22nd June as part of the new Skyline Series. 4AD and released their critically acclaimed fourth album Singles, which included their biggest hit to date, the euphoric ‘Seasons (Waiting on You)’. 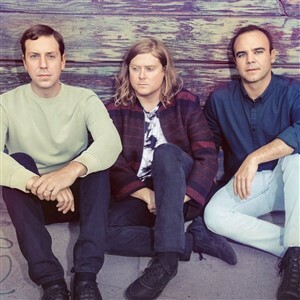 Now, Future Islands are bringing their latest album The Far Field to Bristol – don’t miss out! Little Dragon are an electro-pop band from Gothenburg, Sweden. Their music is a fusion of R&B, electro, pop, jazz and dance music, but the most outstanding part of their music is Yukimi Nagano’s unique and emotive vocals. Their music pushes boundaries and always has, and their latest album Season High is no exception. In recent years, they’ve collaborated with the likes of Gorillaz, DJ Shadow and SBTRKT and off the back of new singles ‘Sway Daisy’ and ‘Best Friends’, the band have a huge summer ahead of them including performances at BBC Radio 1’s Biggest Weekend, Melt! Festival, bluedot Festival and Sziget. Bristol Ska And Mod Festival. From The Jam are Bruce Foxton (vocals, bass, guitar) and Rick Buckler (drums). 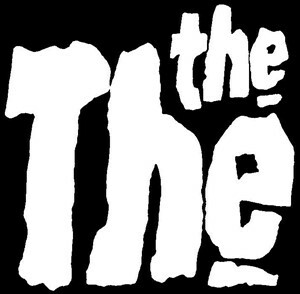 The band formed in 2007 after Paul Weller, their bandmate from The Jam, decided to not participate in a reunion. From The Jam have toured the world ever since and their 2012 album Back in the Room received positive reviews, followed by their 2016 album Smash the Clock. From The Jam are set to perform in Bristol on 3rd August as part of the Skyline Series’ Bristol Ska & Mod Festival, alongside The Selecter and The Beat feat. Ranking Roger. The Beat formed in Birmingham in 1978. Their debut single was a cover of Smokey Robinson's 'Tears of A Clown', which went straight into the UK Top 10 singles chart upon its release. Their first album I Just Can’t Stop It spawned further hit singles 'Mirror In The Bathroom', 'Can't Get Used to Losing You', 'Hands Off... She's Mine' and 'Best Friend'. The Beat disbanded in 1983 and eventually returned to the stage in 2003 for a sold-out show at The Southbank Centre’s Royal Festival Hall with Ranking Jr. on vocal duties. Since then, the band have been touring the world and are set to perform in Bristol on 3rd August as part of the Skyline Series’ Bristol Ska & Mod Festival, alongside The Selecter and From The Jam. 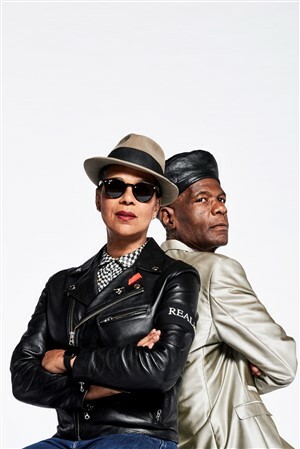 The Selecter formed in Coventry in 1979 and are famous for their hit singles "Three Minute Hero," "On My Radio," and "Missing Words." Their debut album Too Much Pressure was released in 1980 and charted at number five on the UK Album Chart. After a few turbulent years, the band reformed and began performing together again in 2010 and in 2015 they released a new album, Subculture. Last October, they released another album Daylight and toured the UK, Europe and Australia. The Vamps are one of the most successful current British bands, having achieved a huge amount of success and acclaim all over the globe. Releasing their debut single ‘Can We Dance’ in 2013, they have since clocked up 5 top ten hits including ‘Wild Heart’, ‘Last Night’ and Somebody To You’. Their latest album, Night & Day, stormed straight into the Top 10 on the iTunes chart in over 20 countries and went to No.1 on the UK official album charts with the first single ‘All Night’ amassing over 300 million streams and going in to the top 25 in the world on Spotify. They are a force to be reckoned with on social media, with over 6 million likes on their Facebook, almost 4 million followers on Twitter, 2 million followers on Instagram, and 144 million views on YouTube. Becky Hill was the first contestant from The Voice UK to score a number 1 single when her collaboration with Oliver Heldens "Gecko (Overdrive)" topped the UK Singles Chart in 2014. She grew up in Worcestershire, singing in the acoustic rock 'n' soul group Shaking Trees, but following her appearance on The Voice UK, she started to be featured as a guest vocalist on many dance hits, including "Afterglow” by Wilkinson and "Powerless" by Rudimental. She has since between working hard on her debut album with MNEK and completed a UK headline tour last October. Jack Maynard is one of Britain’s leading influencers on social media, with over 1.2 million subscribers on YouTube and more than 100 million views to date. 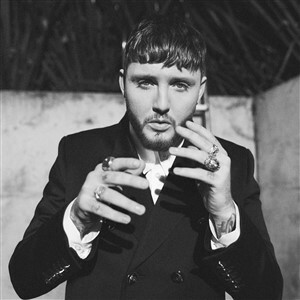 Jack is also a DJ and one half of the group GOAT, alongside his brother Conor Maynard. He was also a contestant on last year’s series of I’m a Celebrity… Get Me Out of Here! New Hope Club are Blake Richardson (vocals, guitar, piano), George Smith (vocals, guitar, piano), and former X Factor contestant Reece Bibby (vocals, bass). The band formed in 2015 and caught the attention of The Vamps after covering their track "Wake Up," which led to them being signed to the band’s label Steady Records. Last year, they released their debut EP, Welcome to the Club and they’re about to embark on a UK and European arena tour with The Vamps.